After my undergraduate degree, I took two years off to work before returning to school for my Masters and PhD. In that interim period, Twitter was my lifeline to academia. Social media is surprisingly egalitarian—I could follow professors and academies, grad students and departments, and be part of the higher education conversation. When I returned to academia, I held on to that connection. I’ve sourced reading recommendations and run into academics at conferences who I had previously interacted with on Twitter. Social media also has a less serious and downright silly side. 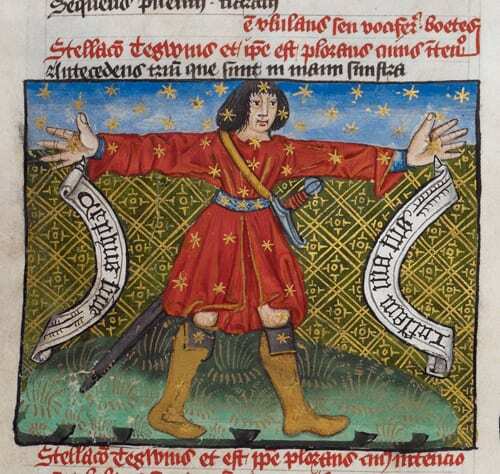 31 March is International Hug A Medievalist Day. Initially promulgated on Facebook by Sarah Laseke, this holiday is my favorite since medievalists are the best people—though I might be a little biased. There’s great joy that goes into days like these and at one point the New Yorker even did a write up on the holiday. If you run into me, I’ll be accepting hugs all day. Following directly on the heels of the International Hug A Medievalist Day, 1 April is Whan That Aprille Day, which was started by the person behind @LeVostreGC and celebrates all the old or dead languages of the world. Hwæt! You might say. That’s just the day for me! Feel free; the only thing required is a sense of humor. All year round, you can follow along with #MedievalTwitter and #twitterstorians and watch as people post photos of manuscripts with wacky captions, announce their publications, and invent holidays; there’s something exceptionally joyous in academics delighting in and sharing their research. While this is my favorite corner of the internet, every specialty seems to have their own hashtags. You can join in different conversations by following #Appellatetwitter for U.S. legal discussion, #histmed for medical history, and #museumhour for weekly public history topics. (The best part is I sourced the answers to this last question on Twitter.) Enjoy!